If you're in the market for a new TV, this pre-Super Bowl week is your best chance of getting a great price on one. 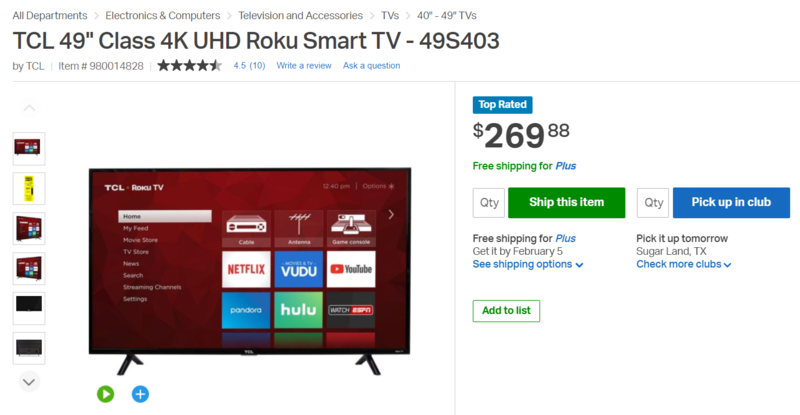 Just yesterday David rounded up the best TV deals at a variety of budget and size preferences. 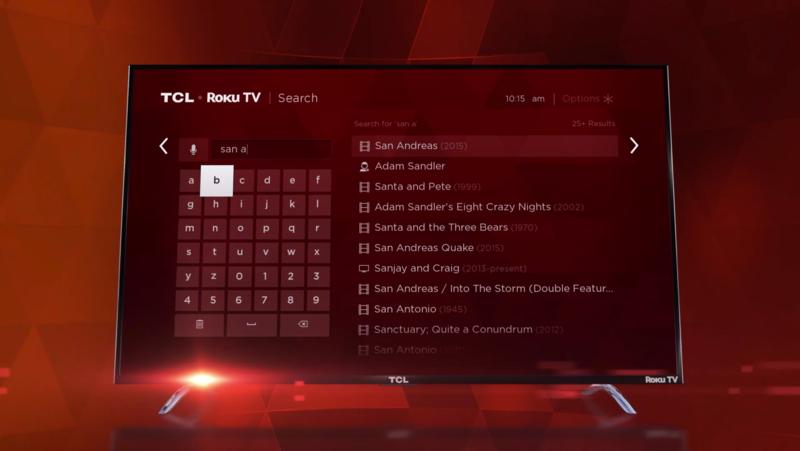 Today, Sam's Club has new markdowns that warrant a mention — 4K TCL Roku TVs in a variety of sizes, starting from $199. We found particularly good prices on these three mid-range TCL Series-4 models: $200 for a 43-inch (43S403), $270 for a 49-inch (49S403), and $480 for a 65-inch (65S423) 4K Roku TV. Each TV comes with a Roku remote and built-in Wi-Fi, so you have everything you need to start browsing your streaming service of choice. Roku even has a Plex channel, allowing you to stream your own media from a Plex server out-of-the-box. This deal is open to all, though non-Sam's Club members have to pay an extra 10% (or you could sign up for a $45/year membership). There's free in-store pickup subject to availability, with shipping costing $8 to $10 — though Sam's Plus members ($145/year) get free shipping.